“A Journey Toward Environmental Stewardship” by Michael D. Zagata tells the story of the author’s journey in his role as an environmentalist. First off, let me say that I have some general knowledge about environmental concerns, and found this book to be one of the most tedious books I have ever read. The author does however, discuss, and give some good suggestions as to what agencies and leaders in the field should strive for. In one area of interest, the author discusses the absence of fish species and what that is telling us. He makes a great point in saying that it is everyone’s responsibility to protect the environment, and even when there is a violation of laws or pollution it is not generally corporations that are responsible, but people within the corporations. The author states that laws and regulations are written by attorneys for attorneys, meaning that the normal layperson cannot understand them. So, it benefits organizations to have attorneys draft two pages of regulations, one for the laypeople, and one for the attorneys. The author does state that is cost effective to do things the “right” way. If one doesn’t do it the right way, the cost can exceed any potential benefit. No company wants to be in the spotlight for things that went wrong. Scrutiny by the public can be devastating. The author relates that if something does happen, one should take immediate control and responsibility. Don’t let lawyers handle the crisis for you. Lawyers want to defer action at a time when a quick response is critical. In Chapter 11, the author discusses what corporations should and should not do. One very important point is always telling the truth, rather than what one thinks people want to hear. Chapter 12 addresses what non-government agencies should and should not do. One point in this chapter says that if scientific evidence is valid, even though it may not be politically correct, continue to be persistent and proactive. 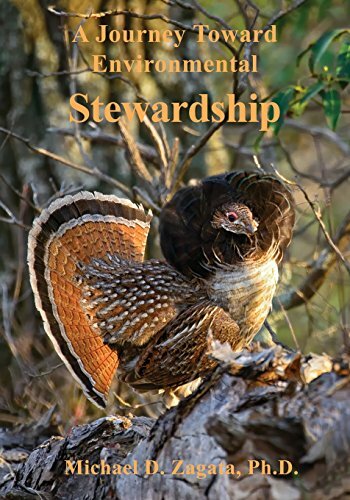 Overall, I found “A Journey Toward Environmental Stewardship” by Michael D. Zagata hard to read. There are however, good discussions and suggestions that could be beneficial and of interest to readers. It is in my opinion, a cross between an autobiography and an environmental economics read.